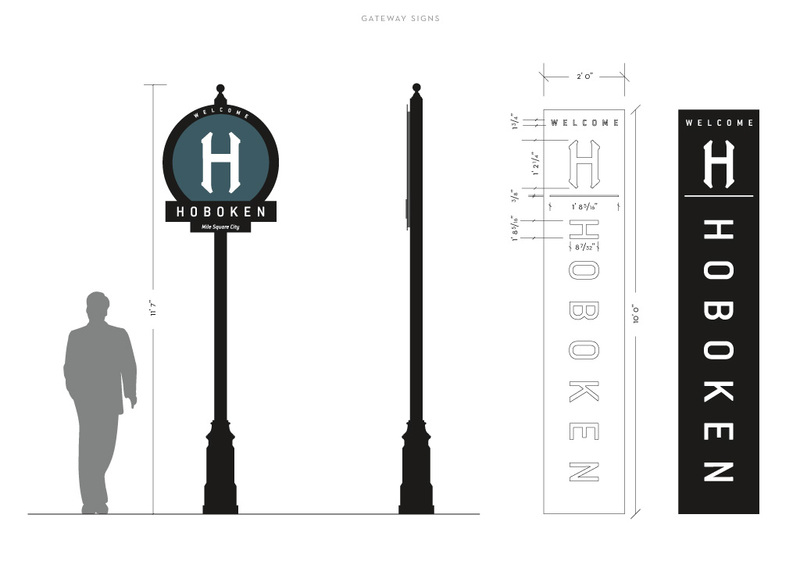 From 2014-2015, M studio worked with the City of Hoboken, NJ, to develop a comprehensive brand aesthetic and voice. 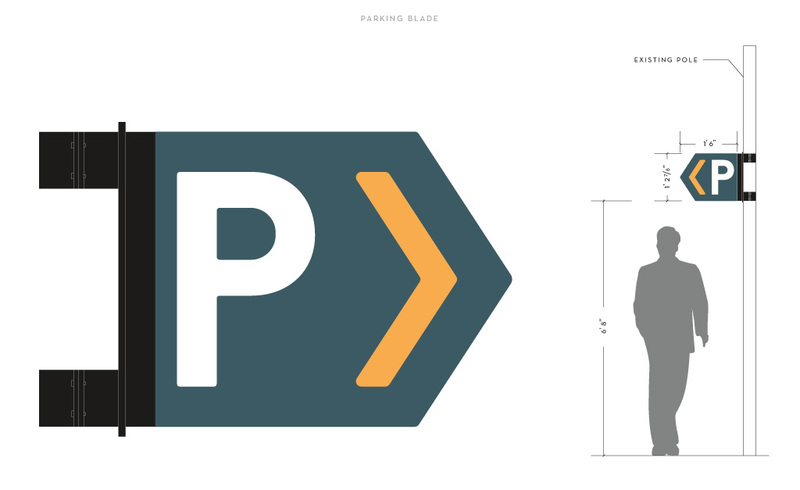 The primary purpose of developing this brand was to establish a visual foundation for a cohesive, citywide wayfinding system. 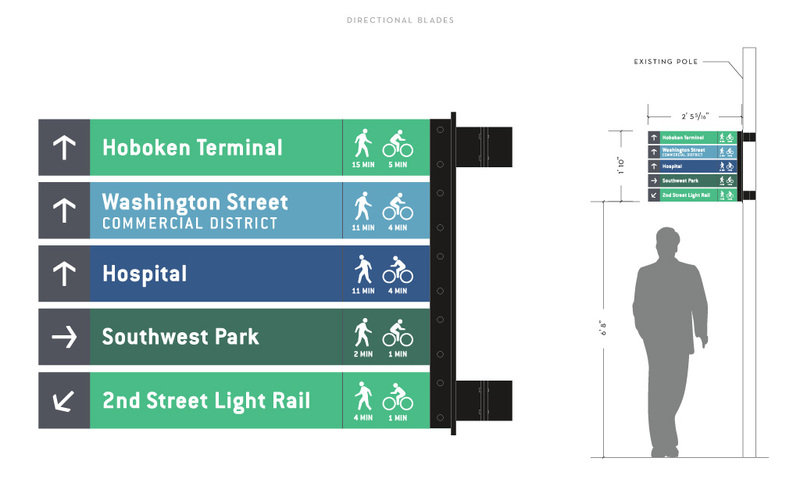 After holding a series of stakeholder interviews and community meetings, we gathered feedback from the community regarding their views on the city branding and wayfinding project and arrived at a brand system that speaks to the city’s history while reflecting a modern yet timeless look and feel. 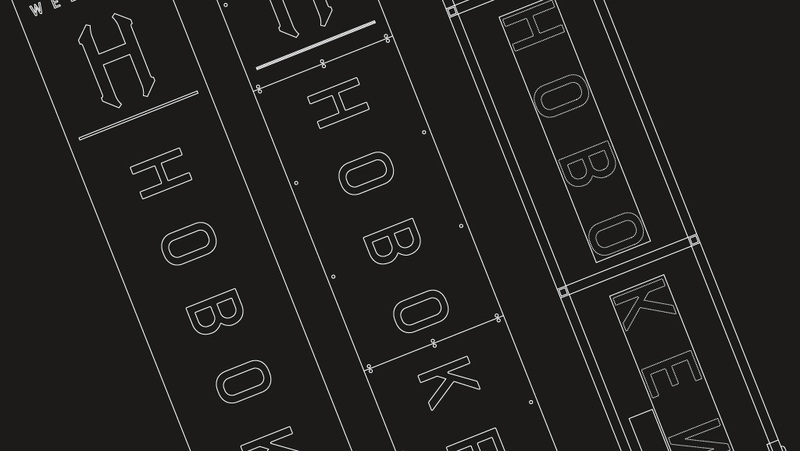 M studio’s design team drew inspiration for the finalized brand from a well-recognized “H” adorning the pillars of the Hoboken railway station. Removing the original “H” from its ellipse and supporting the mark with a streamlined type treatment framed by parallel lines, we refined the original icon and added structural integrity to the design. 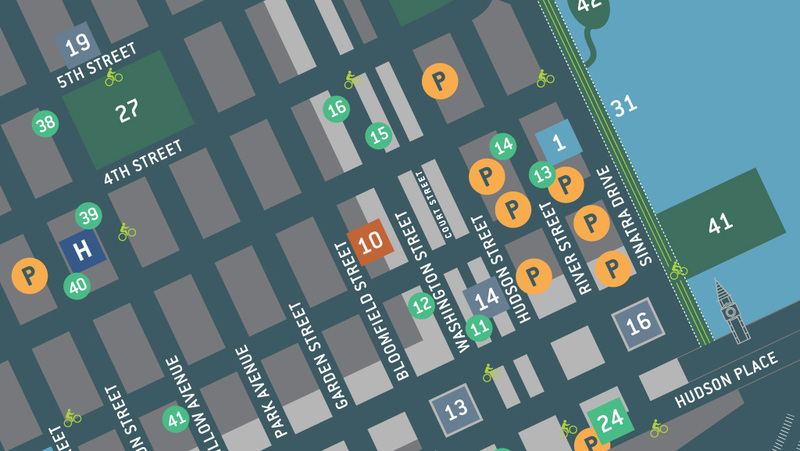 Considering Hoboken’s tight-knit community and the walkability of the city, we utilized the city’s unofficial nickname “The Mile Square City” as a tagline, in order to heighten the personality of the brand and establish its voice. 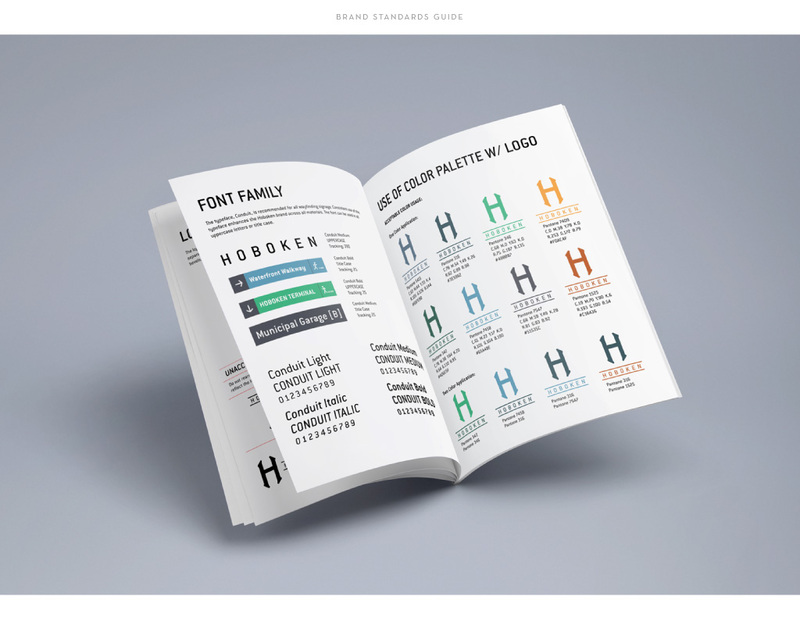 In support of the resulting brand assets, we established a font family, color palette, and icon system. 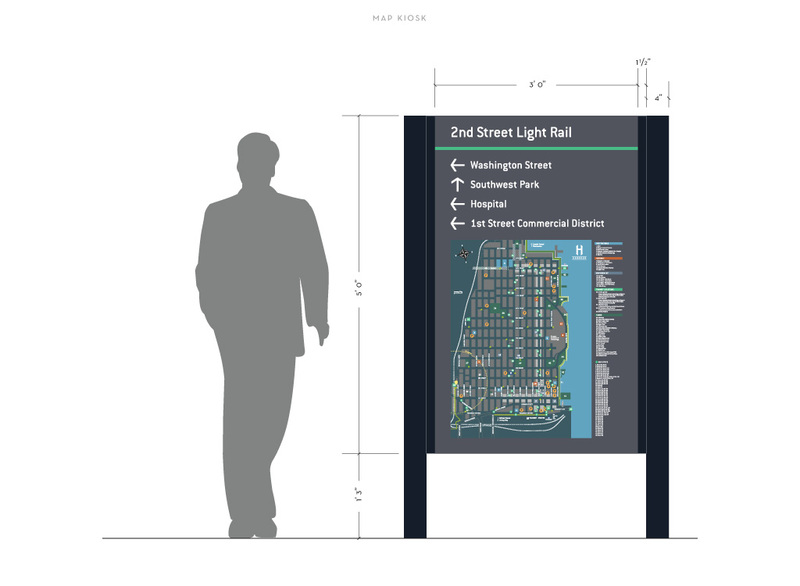 We then laid out detailed designs for vehicular and pedestrian street signs, walking maps, and kiosks. 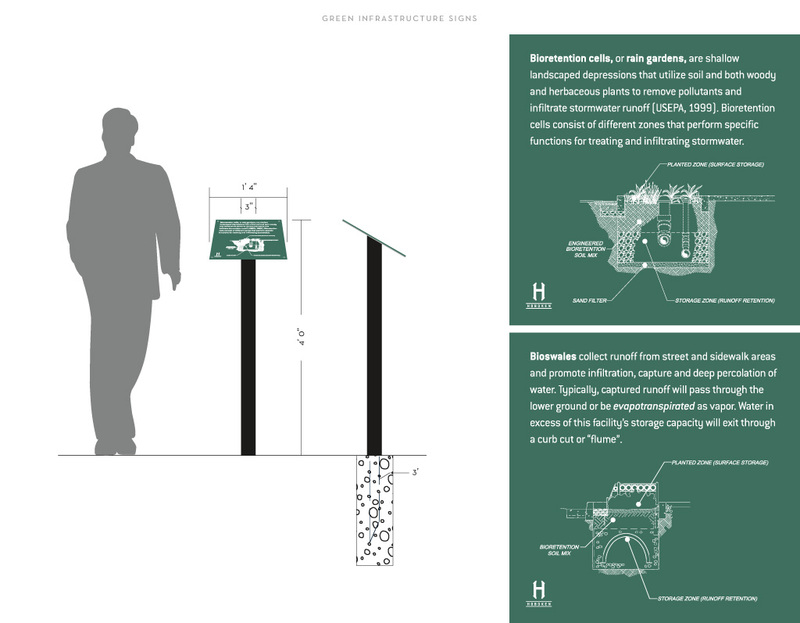 Following the completion of all branding and design assets, M studio developed a brand standards manual to be referenced as a guide for maintaining brand continuity in further city branding and wayfinding efforts.